From what my grandfather told me, his parents were extremely keen on Switzerland. 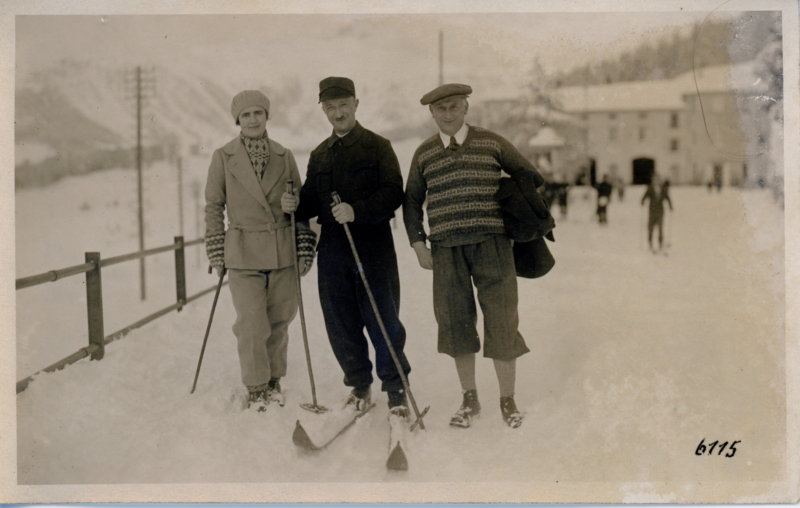 They often travelled to St. Moritz to ski. They are with another friend. Henriette was also known to be quite fashionable. I like the scarf/glove combo.